On the same day that Whitney Houston’s I will always love you was the number 1 song in the US and Home Alone 2 topped the box office, 22-year-old Sema Group software architect Neil Papworth sent the first SMS (Short Message Service). It was sent over the Vodafone GSM network in the UK, though back then handsets could only receive messages, not send them. Papworth sent it to an Orbitel 901 handset belonging to the then-director of Vodafone, Richard Jarvis, using a computer. "I don't know if they really thought it was going to be a big thing," Papworth told Sky News. 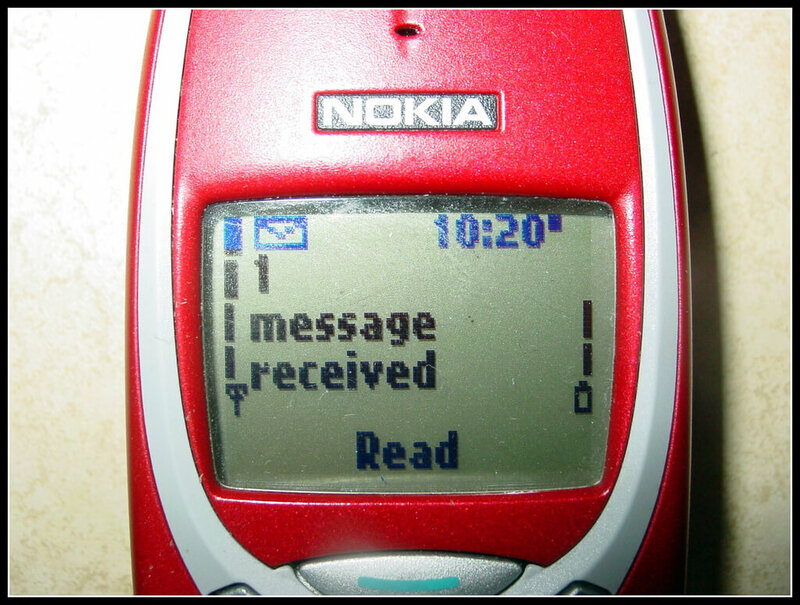 A year later, the first commercial SMS service was available in Finland, and Nokia became the first company to release a handset capable of sending text messages. The technology had actually been in development years before Papworth sent his festive message; SMS was conceived by Friedhelm Hillebrand and Bernard Ghillebaert of the GSM Corporation in 1984. Finnish engineer Matti Makkonen played a leading role in the technology's creation and is often credited as the inventor of SMS text messages. Growth was initially pretty slow, with GSM customers sending only 0.4 messages per month in 1995. The fact that UK users could only send SMS messages to those on the same network was a big problem until the restriction was lifted in 1999. The SMS revolution took longer to arrive in the states. US mobile operators charged more for texts and less for voice calls, while PC-based instant messaging services were still incredibly popular. Thanks to the rise of programs like WhatsApp, Messenger, and iMessage, fewer people have been sending SMS messages since the technology reached a peak in 2012. Last year, Mark Zuckerberg said that daily activity on Facebook Messenger and WhatsApp combined was three times the number of SMS messages sent worldwide—60 billion compared to 20 billion.